Bad records management has serious consequences. 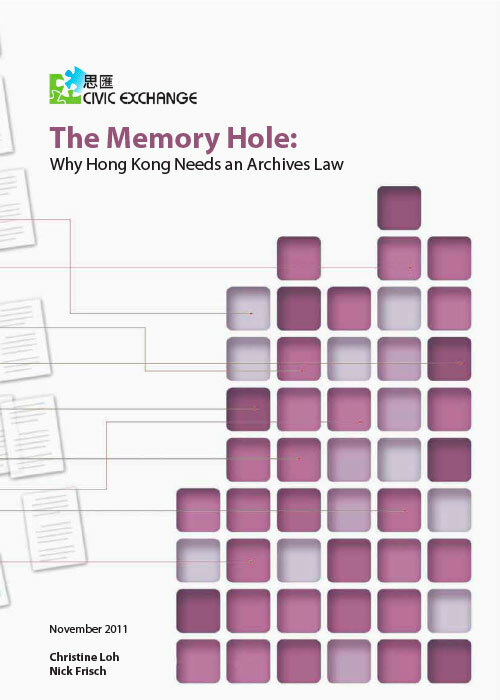 For years, Hong Kong officials have been stuck in a regulatory limbo where they must “print-and-file” important e-mails, a cumbersome and wasteful practice. Moreover, the disappearance of records has been a key part of many recent controversies, including the Jeremy Godfrey incident, the Kitty Chong tree collapse tragedy, the Falun Gong immigration case, Tamar relocation document loss, and many others. The situation is also harmful to Hong Kong’s heritage and identity in the long term.